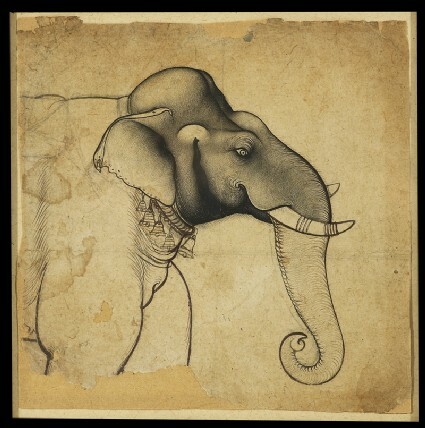 Elephants frenzied in their mast season (see the previous painting, Enraged elephant [LI118.45]), and at the height of their formidable vitality, became a favourite subject for Kota artists. 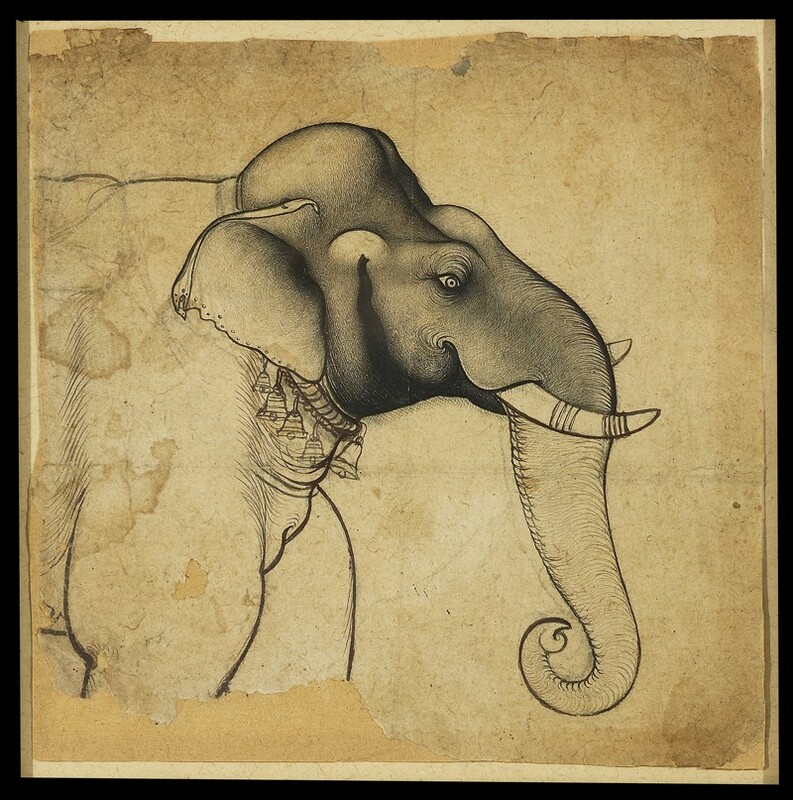 This fragmentary drawing shows a court elephant in mast, with a dark secretion flowing from his temple. His animated eye swims in a vortex of fluid lines and hatchings.